This winter has been cold, very cold. We’re getting well acquainted with night temperatures regularly hitting the 15-20 below mark, and day time temps barely creeping above zero. Along with the cold has come a lot of ice and a serious lack of snow. This is a bit problematic for a house that sits 16 inches off the ground, up on double stacked cement blocks. Last winter there were snow banks piled up to the base of the house on all four sides, which kept the wind and freezing cold night air from whipping through the crawl space. Sadly, this year there are no snow banks and the cold air seeps up through the second hand foam board in my floor and chills my feet. I really need to put up a skirt or hay bales or something – but that’s another project. Even so, my heater pumps out the heat and I am staying plenty warm inside. I don’t want to sound like I’m complaining because the truth is I love winter and I don’t really mind the cold. There are always winter sports one can do to stay warm and have fun. While most winters I do a lot of down hill and cross country skiing, snow shoeing, and mountain climbing, the lack of snow and presence of lots and lots of ice has made these particular winter sports not particularly lucrative this winter. That’s OK, there are always other options. I’ve been on my bike two or three times a week for most of the winter, usually on the warmest days when the snow melts away and doesn’t leave too much ice. The snow machine trails have been perfect for riding and the snow pack is thin enough that I can often ride the same woods trails I ride in the summer. A few weeks ago I put Zip Ties around my rear tire to add traction, and it’s worked really well! Of the 30 or so ties I put on, only 3 have broken off. Way better retention than I expected. The next step in winterizing my bike was to put a Fatty Up Front. My main bike now is the Surly Ogre 29er I bought for my Great Divide Ride. I’ve been running a 2.4 inch wide tire on the back (the widest it allows) and a 2.3 on the front, which is what came with the bike. When I’m trail riding in the winter my biggest problem tends to be my front tire dropping into pockets in the snow and throwing me off, sometimes literally. 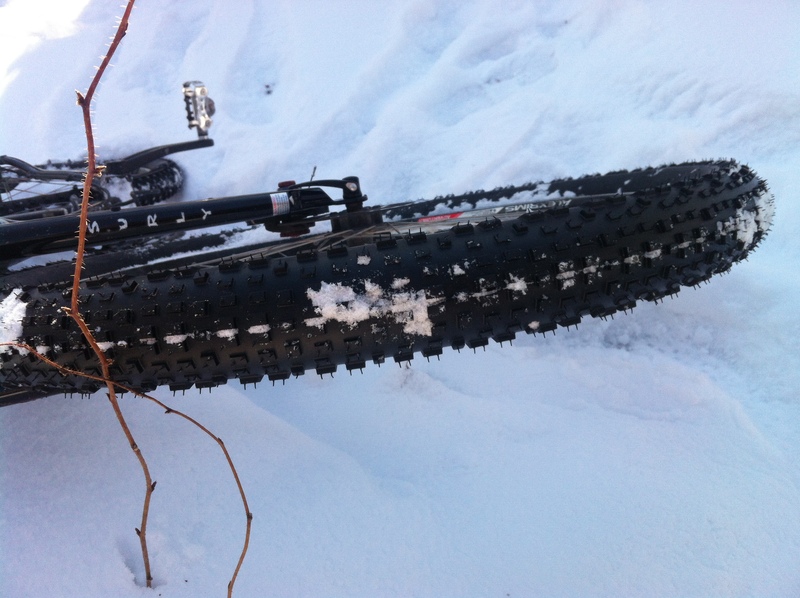 I also have trouble with the front wheel tracking well in the snow, and slipping out quickly on ice or frozen sticks. 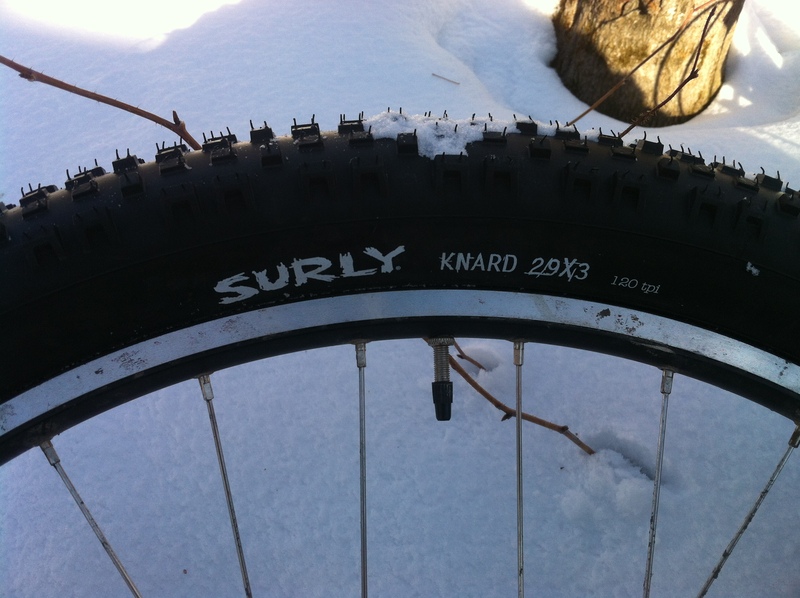 So I bought a Knard 3.0 front tire and it’s amazing! Just the extra six tenths of an inch in width gives me a massive amount of stability, traction, and confidence. I’m now able to cruise up over the giant snowy ice mounds left by plow trucks without worrying about getting stuck. Funny, it doesn’t look that wide to me in the pictures, but it floats really well over pretty much everything. Ice covered fallen trees on the trail that I used to be petrified of, don’t even slow me down! My current favorite loop is probably less than 5 miles but takes me anywhere from 45 minutes to an hour. I ride out my woods road down to Curtis Pond, ride the pond to Maple Corner (often with a little detour up to the lean-to on the island) and hit the snow machine trail by the power sub station on Kent Hill Road. I can then ride trails all the way home. It makes for a nice loop, good exorcize, and a healthy mix of mellow and snowy with steep and icy. With my super warm Loki mittens that I bought at the bike expo in Breckenridge this summer, I can ride in all weather. First thing yesterday morning it was 8 below zero when I left my house, and I had to take my jacket off halfway through the ride! Clearly this winter so far has been a winter for year round biking, swimming isn’t that far off. I happened to be in Burlington the other day and saw a sign advertising this years Penguin Plunge. I haven’t participated in the plunge fund raiser since somewhere in the vicinity of 1997, though I’ve have done my own plunging off and on. I swam in Curtis Pond just before mid-night on New Years Eve of 1999. My 17 year old logic went something like “what better way to celebrate Y2K and the end of all human technological advances than a 32 degree bath! ?” Additionally, because it was basically midnight, I cheated and counted it as swimming in both December and January, which meant I had swum in Curtis Pond at least once in every calendar month of the year! Everyone needs a claim to fame! 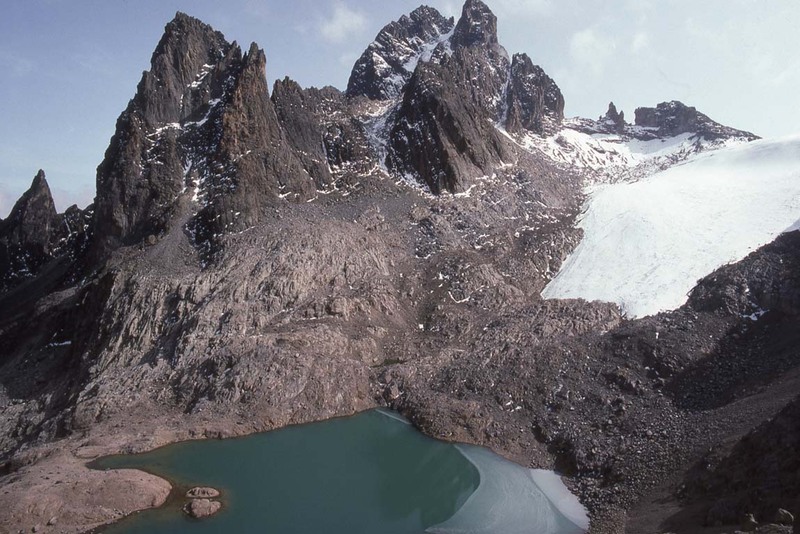 Glacial Lake on Mount Kenya – we didn’t die, but we did have to break through some ice! That was 2003, and since then I’ve continued to get older, and I fear weaker. 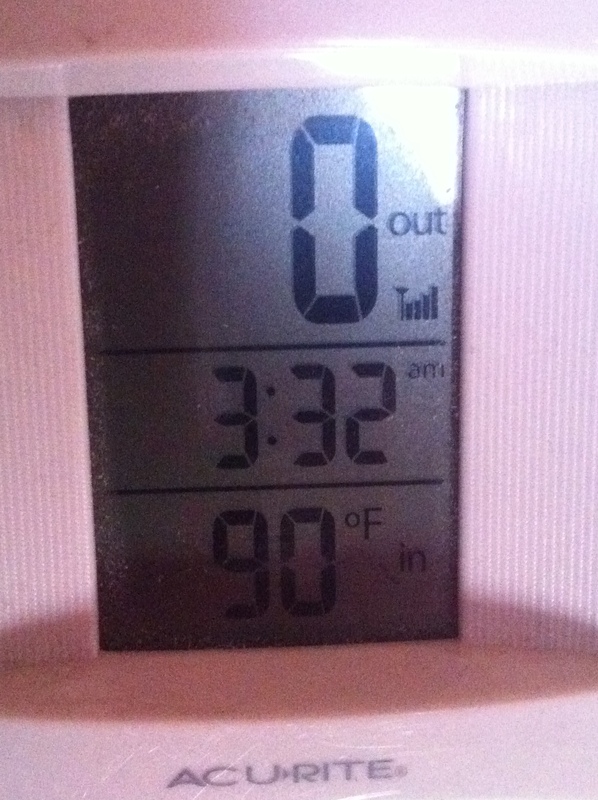 Last week the water at First in Fitness had dropped to 79 degrees and it was so cold I didn’t stay in the whole hour! If I’m this wimpy at 31, what will 50 bring? No, I can’t let that happen. I have to prove I still have it, I still have the crazy edge and invincibility of my youth. So with that I’m pledging to plunge! Two weeks from today, on February 8th, I’ll join hundreds of other Vermonters for a dip in Lake Champlain. I am hoping for a really cold day, maybe even below zero. If it’s zero out, the water will be 32 degrees warmer than the air and will feel downright hot! Right? Right? Back me up here! The annual Penguin Plunge is Vermont Special Olympics biggest fundraiser of the year and the funds go directly to supporting Special Olympic events across Vermont, including the school programs which have so greatly benefited my pal Georgia. So if you like supporting a great cause, and want pictures of my cold dip in the lake, go on over to my pledge page and kick in a few bucks (you can also track me down and give me cash or check). Feel free to share the link out to your buddies, and get them to pitch in too. Every bit helps! If you want to swim as well let me know, and if you want to come watch I’ll give you a soaking wet cold high five on the 8th! Until then, stay warm, and keep pedaling your way through this polar vortex! Thanks for supporting Vermont Special Olympics! That’s one of the organizations I donate to each year. 50 doesn’t have to mean wimpy or weaker, I’m doing more of some things than I was when I was 20. Swimming in 32 degree water isn’t one of them though! Good point, I certainly still plan to be active and doing things some people think are crazy for many years to come! I’m actually excited for the swim, swimming in very cold water is something I used to do pretty much every year, and it always feels so good once you do it!